Infant sleep is one of those touchy subjects that, like religion and politics, can ignite a wildfire in certain circles. Parents of a baby who doesn’t sleep, well, “like a baby” are apt to do just about anything to help their little one rest, and to get some shut-eye themselves. Sleep training routines, special sleep monitors, companion dolls, bedtime stories, and all sorts of other gadgets and methods were created to help, and parents can shell out a lot of cash in order to gain access to these sleep-promising items. Now, parents are engaging in fierce bidding wars on eBay for a sleep companion doll that promises to help babies sleep, by mimicking the sounds of a real live caregiver. 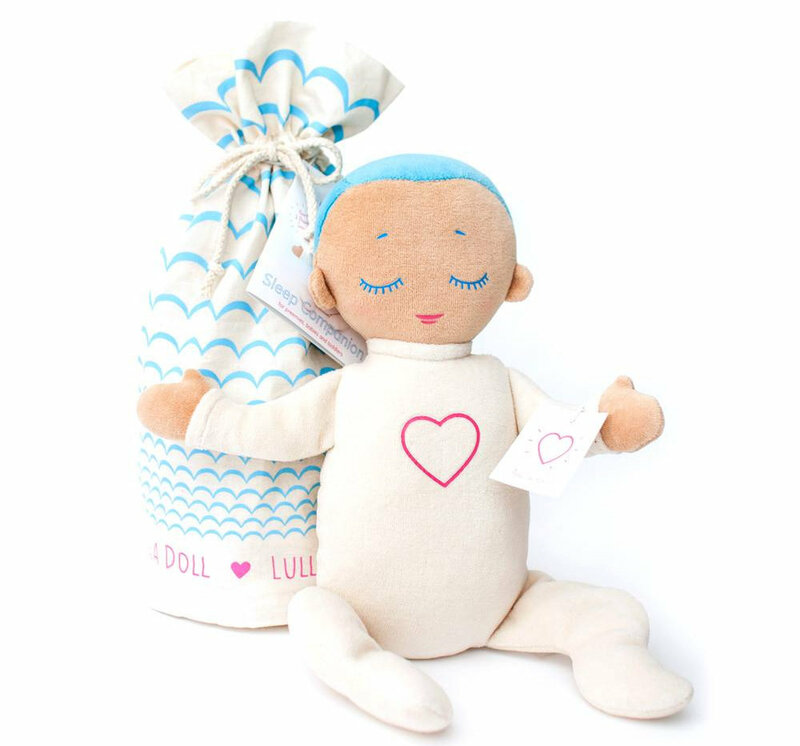 The Lulla Doll by RoRo is the latest in a long series of ways for parents to spend their hard-earned money on a quick fix that, in many cases, may not be capable of addressing the real reasons behind a baby’s sleep troubles. The Lulla doll is a soft plush toy developed by a trio of Icelandic mothers to help babies sleep. The doll mimics the mother’s heartbeat and breath sounds, leading some to refer to Lulla as an “evil” Darth Vader-soundalike. A production run of 500 dolls was created, and they sold like hotcakes to desperate parents. Demand for the dolls skyrocketed, driven by the intense and very human desire for sleep, and now people are selling their “gently used” Lulla dolls on eBay. The $99 dolls are fetching as much as $350 when the auctions close. That’s a lot of money to spend on a doll that purports to do what a cosleeping parent does, which could likely be duplicated with an old T-shirt and a noise machine. As the mother of a little boy who fought sleep at every turn from birth, even when snuggled in bed next to me, I have to call phoney baloney on this whole ordeal. Through research and firsthand trial and error, I have tried nearly every method ever suggested in the history of babies in order to help my little guy go to sleep peacefully and get a good night’s rest. That is, after all, a big part of my job as his caregiver, after keeping him healthy and safe. We tried a consistent bedtime routine, at the same time, including a soothing bath, a massage with magnesium lotion, stories, lullabies, and snuggling. We tried white noise machines, blackout curtains, and adjusting the temperature and humidity. We tried a variety of sleep surfaces, from memory foam in my bed to a traditional crib to a futon mattress on the floor. We tried oils, supplements, exercises, diet changes, special toys, and even a best-selling bedtime book that employs child psychology tricks to induce sleepiness. None of the many, many things I tried worked—not even a little bit. For many parents, sleep deprivation lasts only a few months, and then their babies seem to magically hit their stride and learn to sleep for longer stretches at a time. Then, the worst days are gone, and everyone can rest a little easier. We’re not all so lucky, though, and oftentimes the sleep troubles that babies experience in infancy last for years. As much as it pains me to admit, I strongly believe that this is just the way it is for some people, and there isn’t much we can do about it. The thing is, you can try all the gadgets, techniques, and supplements on your child, and perhaps some of them will help a little. You might even find that your troubled sleeper becomes a champion sleeper, but I’d argue that the relationship between what you did and the improved sleep are probably more coincidental than anything. You see, that sweet little baby’s sleep habits may have very little to do with anything the parents are doing or not doing in the first place. 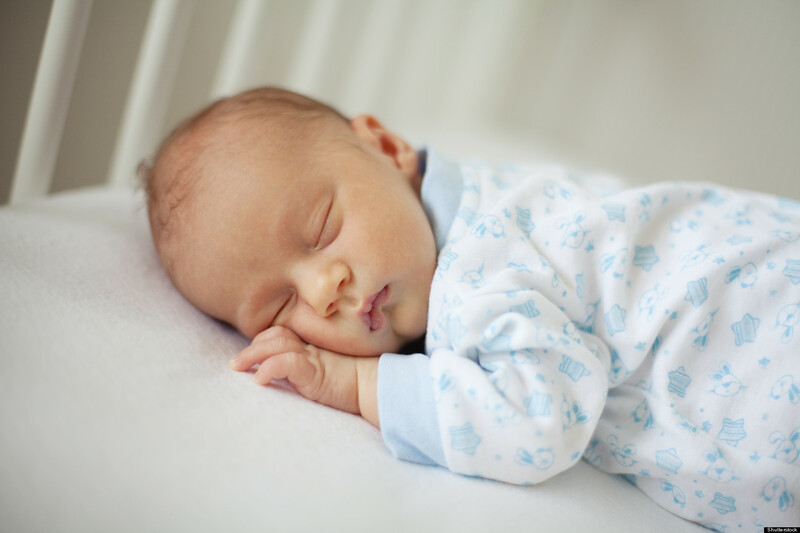 Newer research has revealed that genetics play a significant role in how well, how much, and how often babies sleep. That revelation is little condolence to exhausted parents, but the news does one very important thing for this tired mama. It proves that my child isn’t broken, and that our sleep troubles are less a problem that needs “fixing” and more a challenge that must be accepted and endured. (We did find that cutting out daytime naps improved his nighttime sleep once he turned two years old, but it’s far from perfect.) After nearly three years of struggling with nap schedules, irregular sleep patterns, impossible bedtimes, and fitful nights, I’m still hopeful that my busy little boy will learn to enjoy and even crave sleep at some point. But I can’t place that hope on any toy or device, because all the evidence suggests that they will only enhance our frustration and make me broke in the process. The Lulla doll, developed in Iceland, promises to help babies sleep by playing a looped recording of breathing and heartbeat sounds, and it's inspired fierce bidding wars on eBay. For some babies, there is no gadget, toy, technique, or device on the planet that will help them sleep peacefully. Sometimes they just have to grow up a little more.